When someone says “can you do something with these olives?” I don’ t need asking twice. Their bittersweet bite and salty character give me lots to work with, and I’ll happily eat them every day of the week. 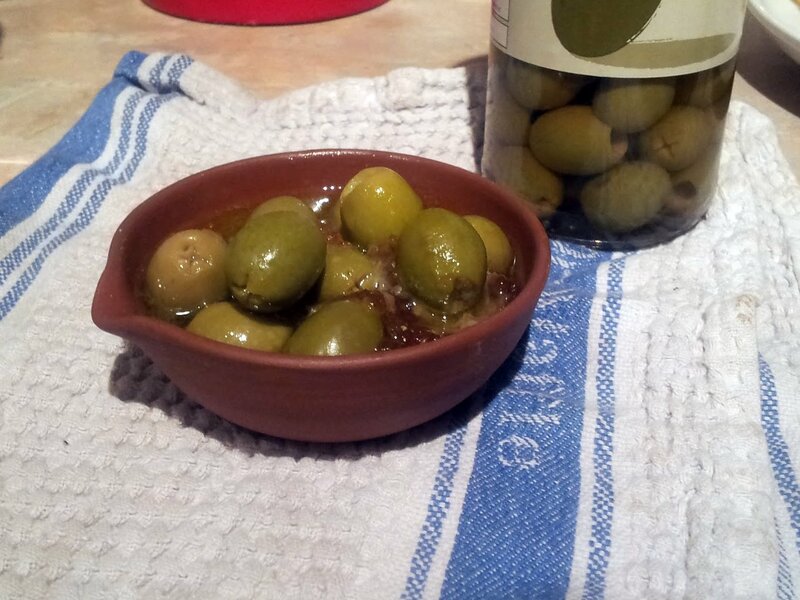 Olives from Spain have asked me to come up with a marinade or two, and this is my favourite creation. The filling is inspired by ma’amoul, a date-filled cookie from the middle east. It is heavy with dates and nuts, although I went for pine nuts here as opposed to the standard walnuts. Just to make sure we knew we’re on savoury territory, red wine vinegar and chilli keep it on track. It’s sweet, spicy, savoury, and surprising. The quantities below will make a portion of the marinade base. You can then blend a part of it with olive oil to make a loose drizzle. The rest can make further olive mix, or be spread over white meats before grilling or roasting. Put the dates, chilli, pine nuts, orange and a pinch of sea salt in a food processor and whizz to a paste. Add a squirt of orange juice, a big splash of olive oil and a dash of red wine vinegar. Mix a little more and then taste. You will have to find a good balance of spicy, sharp and sweet with the chilli, vinegar and orange. To make the marinade, put a tablespoon of the mixture into a small bowl and blend with a tablespoon of olive oil. Add the olives and macerate uncovered for an hour before eating. Garnish with fresh pine nuts. Interesting flavor combination, looking forward to trying it.